If Myanmar’s Rohingya are the Muslim world’s 21st century’s rallying cry, the Kurds could be its major fault line. It's no real surprise that the Kurdish issue is now resurfacing with ISIS's presumed demise. Breaking with the United States and its Arab allies, Israel has endorsed Kurdish independence. Turkey fears that Kurdish independence would spur secessionist aspirations among its own Kurds. The Kurdish quest for some form of self-rule is likely to manifest itself in Syria too. If Myanmar’s Rohingya are the 21st century’s rallying cry of the Muslim world, the Kurds could be one of its major fault lines. Disputes over territory, power and resources between and among Sunni Muslims, Shiites and Kurds fuelled the rise of ISIS in Iraq. 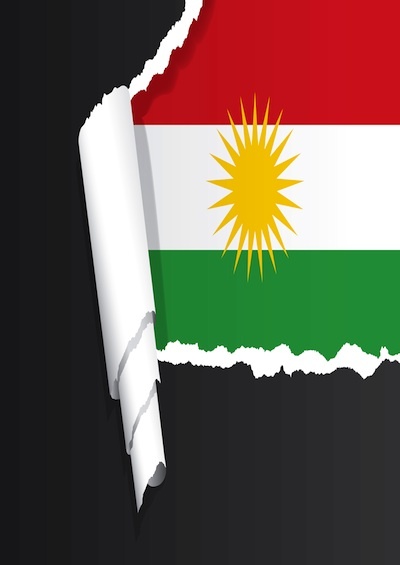 It’s no real surprise that the Kurdish issue is now resurfacing with ISIS’s presumed demise. “All the writing is on the wall that there will be another ISIS,” said former Iraqi foreign minister and Kurdish politician Hoshyar Zebari, referring to the group by another of its acronyms. The initial flash in the pan threatens to be the fact that Iraqi Kurds are certain to vote for independence in a unilateral referendum scheduled for September 25. If the independence issue did not provide enough explosives in and of itself, the Kurds’ insistence on including in the referendum the ethnically mixed, oil-rich city of Kirkuk and adjacent areas further fuelled the fire. The issue could blow a further hole into Iraq’s already fragile existence as a united nation state. Iraqi President Haider al-Abadi has denounced the referendum. His efforts to persuade the Iraqi parliament to fire Kirkuk governor Najmaldin Karim for backing the poll as well as for calls for parliament to withdraw confidence in Iraqi President Fuad Masum and sack ministers and other senior officials of Kurdish descent could push the Kurds over the edge. In the latest development, Iraq’s top court ordered the suspension of the planned referendum. The Supreme Court ruled on Monday calling for all preparations for the September 25 vote to be halted. Iraqi military officials as well as the Iranian-backed Shiite militias that are aligned with the military have vowed to prevent the referendum from being held in Kirkuk. “Kirkuk belongs to Iraq. We would by no means give up on Kirkuk even if this were to cause major bloodshed,” said Ayoub Faleh aka Abu Azrael, the commander of Imam Ali Division, an Iran-backed Iraqi Shiite militia. A possible fight may not be contained to Kirkuk. Kurdish and Iraqi government forces vie for control of areas from which ISIS has been driven out stretch westwards along the length of northern Iraq. Mr. Al-Abadi warned that he would intervene militarily if the referendum, which he described as unconstitutional, provoked violence. Add to that, the ganging up on the Kurds by Iran, Turkey and the United States. The U.S. backs the Iraqi government even if it put Kurdistan on course towards independence when it allowed the autonomous enclave to emerge under a protective no-fly zone that kept the forces of Saddam Hussein at bay. Turkey fears that Kurdish independence would spur secessionist aspirations among its own Kurds, who account for up to 20% of its population and that an independent Kurdistan would harbour Turkish Kurdish insurgents already operating from the region. a public invitation to the countries in the region to violate Iraqi borders… The Turks are very angry about it because they have a large Kurdish population inside Turkey and they feel that their national security is threatened because it is a huge problem for them. And, of course, the Iranians are on the same line. The Kurdish quest for some form of self-rule is likely to manifest itself in Syria too. The United States backs a Syrian Kurdish militia aligned with Turkish Kurdish militants in its fight against ISIS. The militia that prides itself on its women fighters is among the forces besieging the ISIS capital of Raqqa. The Kurds are hoping that an end to the war in Syria will leave them with an Iraq-style autonomous region on the Turkish border – an aspiration that Turkey, like in Iraq, vehemently opposes. The target of strikes by the Turkish air force, the Kurds hope to benefit from the force’s shortage of pilots because of mass purges in the wake of last year’s failed coup against President Recep Tayyip Erdogan. The air force last month ordered all former fighter pilots flying for Turkish airlines to report for service.